Do you have a broken or corroded stained glass window? We can bring it back to life with a full leadlight restoration. 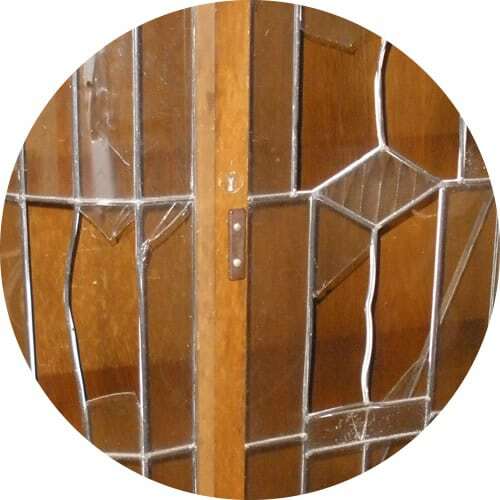 We have specialised in the manufacture and repair of genuine leadlights (stained glass) for over 20 years and pride ourselves on top quality and innovative design. The leadlight design for you will be a journey of discovery! We will work with your ideas, or with any designs that you like, and create something unique for you. Cracked or missing glass? Broken lead? Completely falling apart? We specialise in stained glass repair and can restore a leadlight right back to its original beauty! View our previous work, featuring original designs, restorations and a range of leadlighting styles. Each piece is designed and crafted to the highest standards.